She began her professional career as a Staff Nurse in the Medical Intensive Care Unit at the Med Center (now known as the University Hospital and Clinics) in Columbia. She was appointed Head Nurse in 1974 and, since then, has continued to assume increasing responsibilities and administrative roles. 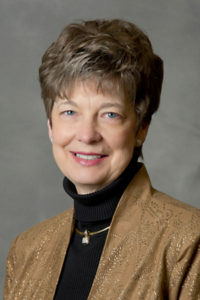 While serving as chief nurse, Donna also held a joint faculty appointment with the MU Sinclair School of Nursing and has enjoyed mentoring students. She has served as a preceptor for many students who have chosen to focus their studies in the area of nursing leadership and management.